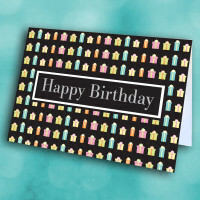 Make a unique statement on someone's special day with this striking birthday greeting card. 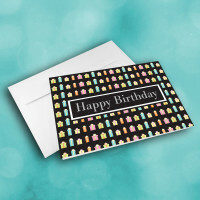 Whether for professional or personal relationships, this classy greeting card is sure to be ideal. 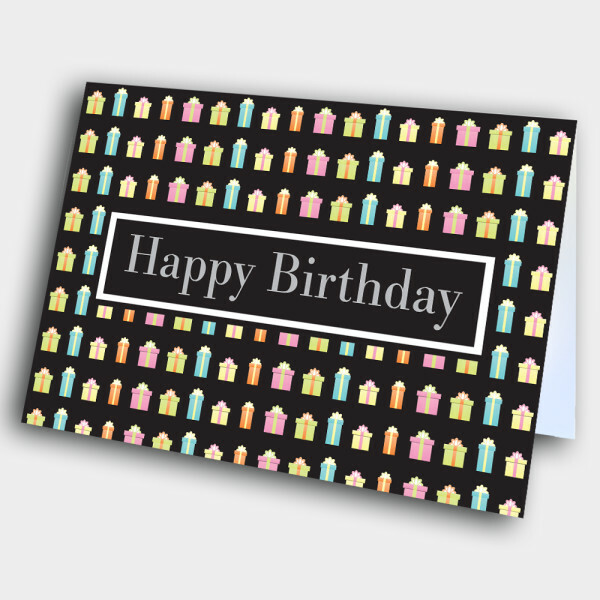 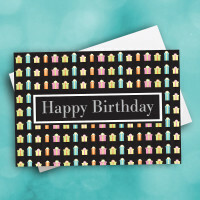 The stark black background of the front is tightly patterned with pastel presents, surrounding the blocked birthday greeting in the center. 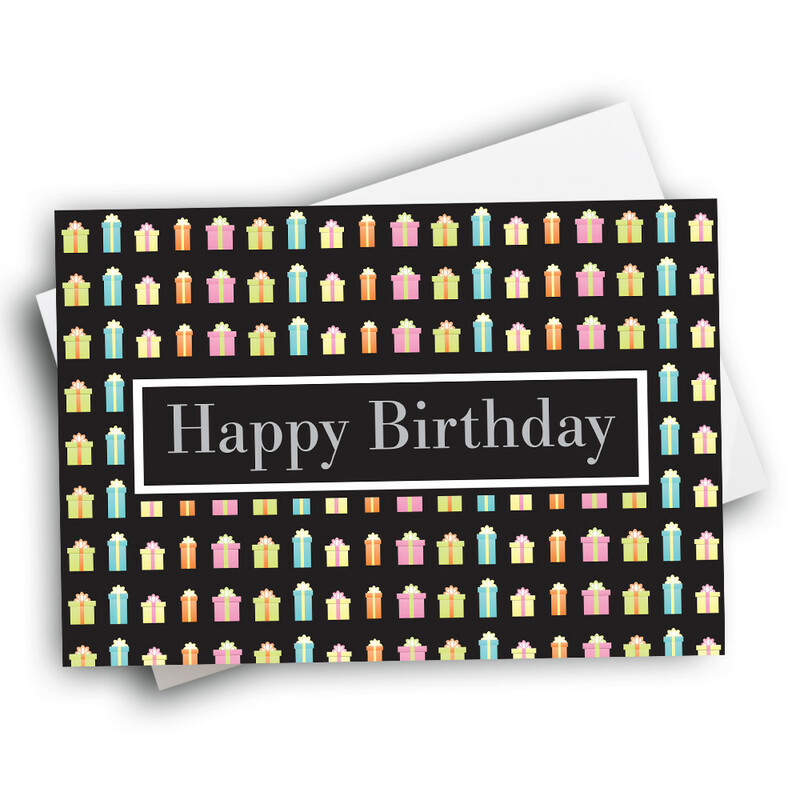 The design is neat, and sure to catch their eye. 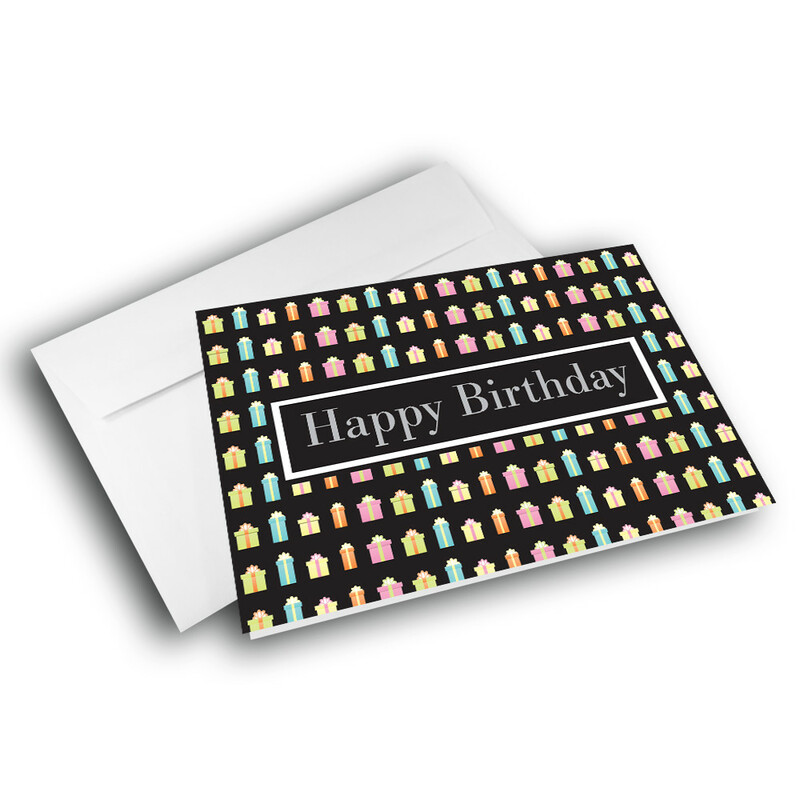 Personalize a message inside to make this a custom birthday greeting card.